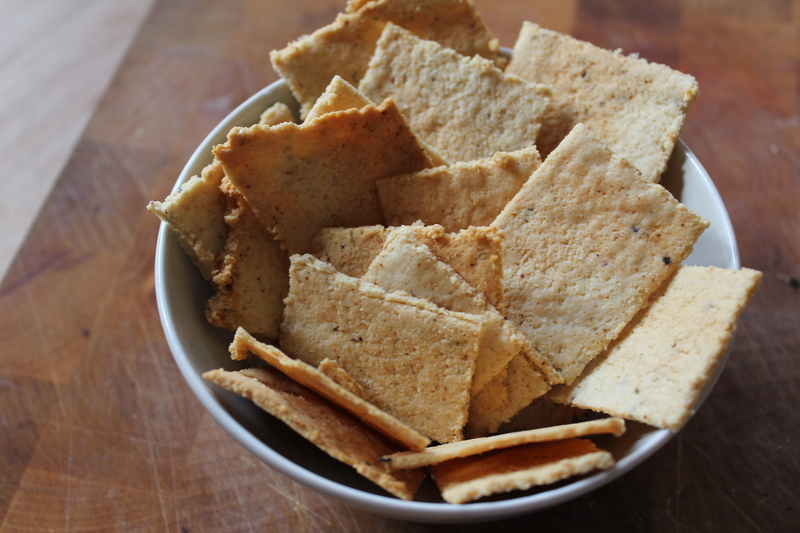 Almond crackers – gluten and dairy free, the perfect detox food! | Hey Bernice! After the detox I felt amazing. Not only had I lost over 10kg, my eyes were clear and white, skin glowing, headaches had gone, along with my peeling hands… and I never got hay-fever again! It was well worth the effort. When I stopped breastfeeding I decided it was time to do it again. Rather than going to a naturopath I pulled out all the written material from my last detox, got some tablets/powders from the health food store and started the Hey Bernice self guided detox! The first week brought on a cold, which often happens. Now I am over that I am starting to feel great. When I did the first detox Glow provided a great recipe book of ‘approved’ foods for detox. One of the best recipes in there was the almond crackers. Not only are they healthy for you, they’re also ideal for anyone that is gluten free or dairy free. 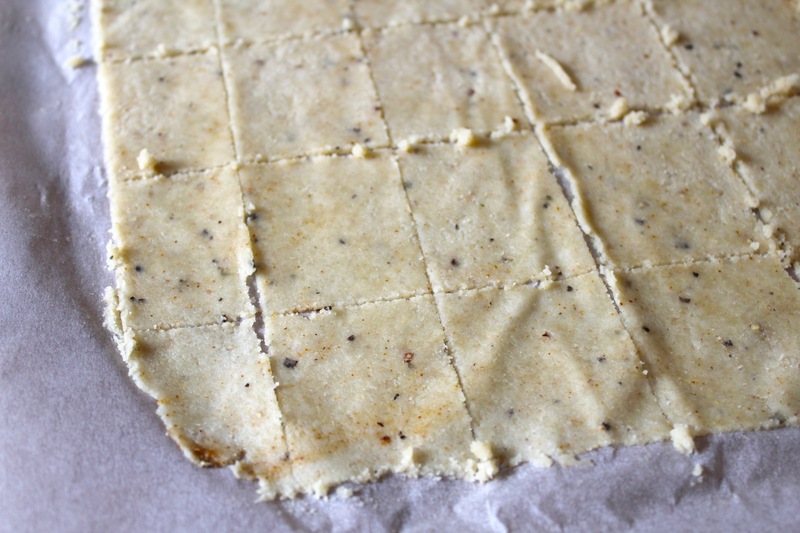 I couldn’t believe that almond meal and water (with some herbs and spices) could make a biscuit! Mix all the dry ingredients in a bowl together, then add 4 teaspoons of the water to form a dough. Add more water if necessary, but be careful not to make it too wet. Cut 2 pieces of baking paper (the size of a baking tray). Lay one sheet on the bench, and place the dough (shaped into a rectangle) onto the baking paper. Place the other sheet over the top of the dough. 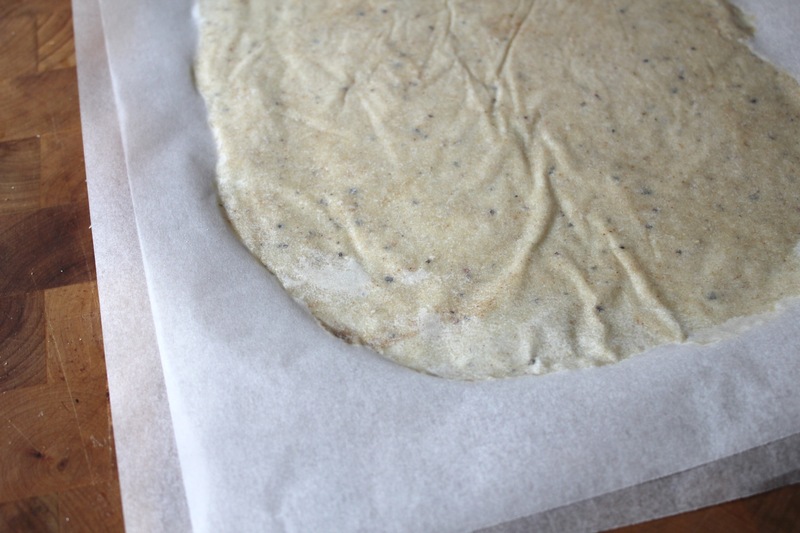 Take a rolling pin (or glass jar on it’s side) and roll the dough out as thin as you can between the 2 sheets of paper. Try and keep the edges as even as you can. Remove the top piece of paper, and score the mixture into square biscuit sized shapes with a sharp knife (or any other shape you might prefer). Slide the paper and dough onto the baking tray, and cook for 7-9 minutes (until golden brown). Check after 5-7 minutes as the crackers around the edge will brown first, you can remove them from the tray (eat them!!) and continue to cook the remaining crackers. 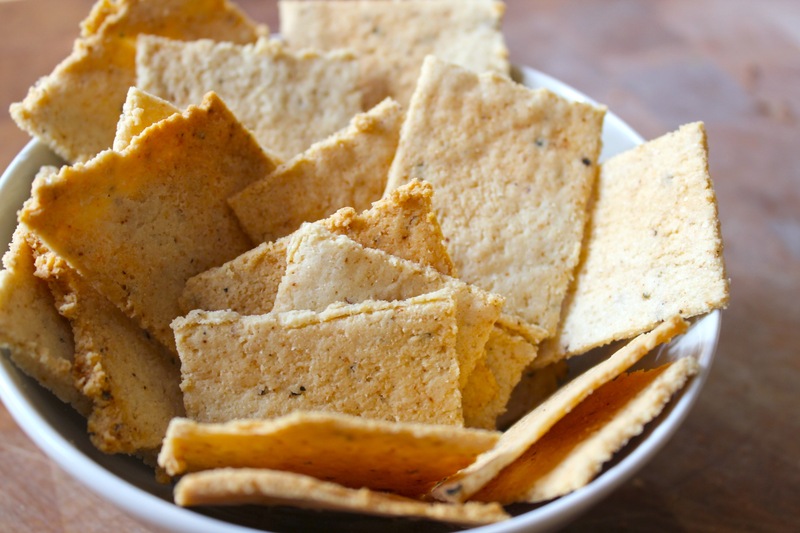 They are great with Hummus dip (also detox friendly). You can also get creative with the herbs and spices you add. I even added some grated lemon rind one time. I made these today and they were so easy and delicious! I ran with your lemon zest idea and added some chopped fresh rosemary. Yum!